Who sold their souls to the malicious, venomous bullies and bigots of Organized LGBTQ mafia. When will the rational people of this country stand up to these sexual perverts who are intent in contaminating all of us with their perverted sexual desires? Tinkerbell obama push this upon us and it needs to be stopped! To fully advance the causes of radical feminism, abortion-on-demand, the LGBT lifestyle, unfettered sexual identity, “gay marriage” and the like, the pagan Liberal left Democrats must do away with common sense, morality, Christian values and all free religious exercise altogether. It is interesting how biased and discriminatory the LGBTQ??? community seems with this action. I bet that the full community of LBGBTQ?? does not support this. It is again a handful of radicals who care nothing for the community, who care nothing for the supposed “strong and inclusive community”. If they were that inclusive they would support the right of a business to stand by their values, their Christian values. 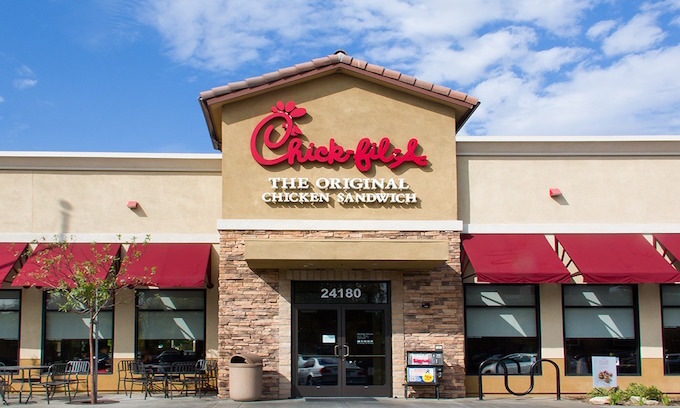 Chick-fil-a is supported by a community that has values and stand up for those values and it is time for supporters of those values in the area of the new restaurant to stand up in support of Chick-fil-a. Sorry, LGTBQ community . I prefer to think for myself. Always have , always will! I do not need or want your propaganda agendas!! NOR YOUR way of LIFE ! YET ANOTHER city that joins my “You couldn’t pay me enough to ever even just visit it” list. What a load of horse manure! AND how is discriminating this way, NOT SENDING A message to everyone else “If you are religious, we don’t want you in San Jose”.